An interaction program on Influenza H1N1: Risk and Control Measures recently-held at TU Auditorium hall, Kritipur Kathmandu. 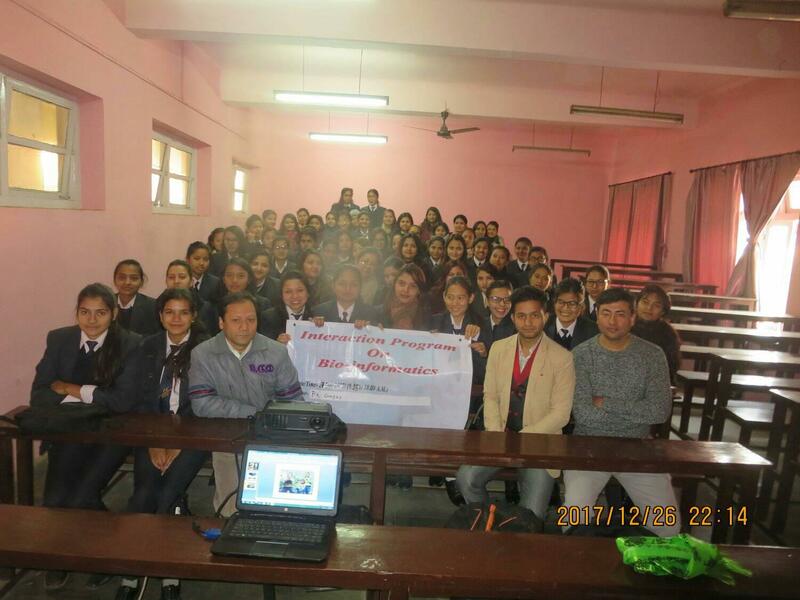 The program was organized by Microbiology and Molecular Biology Research Association (MiMRA) in association with Research Center for Applied Science and TechnologyMember Secretory of Nepal Academy of Science and Technology (NAST) was honorable chief guest of the program along with this, Dr.GunaNiddhi Sharma , Epidemiology and Disease Control Division(EDCD), Deputy health Administration, Prof.Megh Raj Banjara,Head of Central Department of Microbiology(CDM), BishnuUpadhya,(Currently working at National Public Health Laboratory,Teku), Dr.Era Tuladhar(visiting faculty,CDM), Dr.RabindraDhakal (Senior scientist, NAST) were renowned persons as guests in the interaction program. 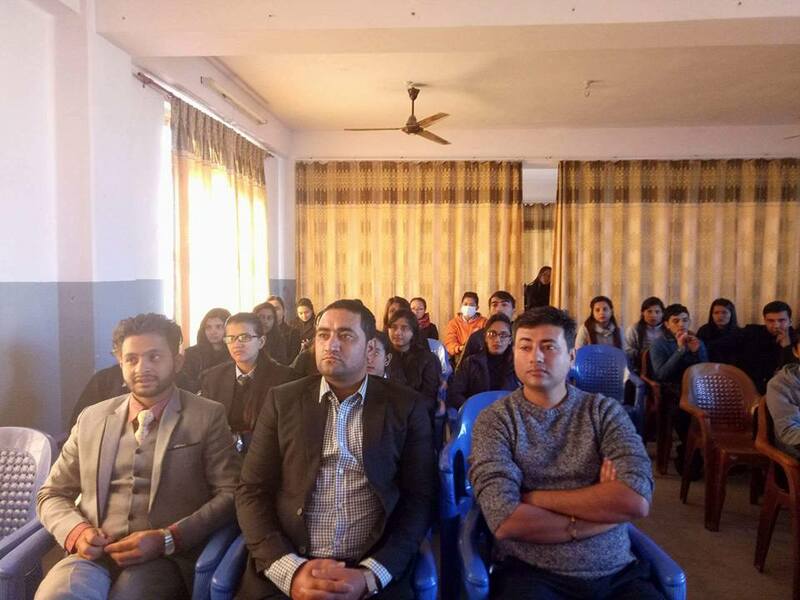 There were nearly 300 participants from school to University level.Participants were highly interested in this interaction topic so participants were from the different institutions of Kathmandu,Bhaktapur and Lalitpur. The program was inaugurated with the National Anthem and was proceeded with the welcome speech by KomalMalla (Assistant Professor of School of Health and Allied Science, PU). 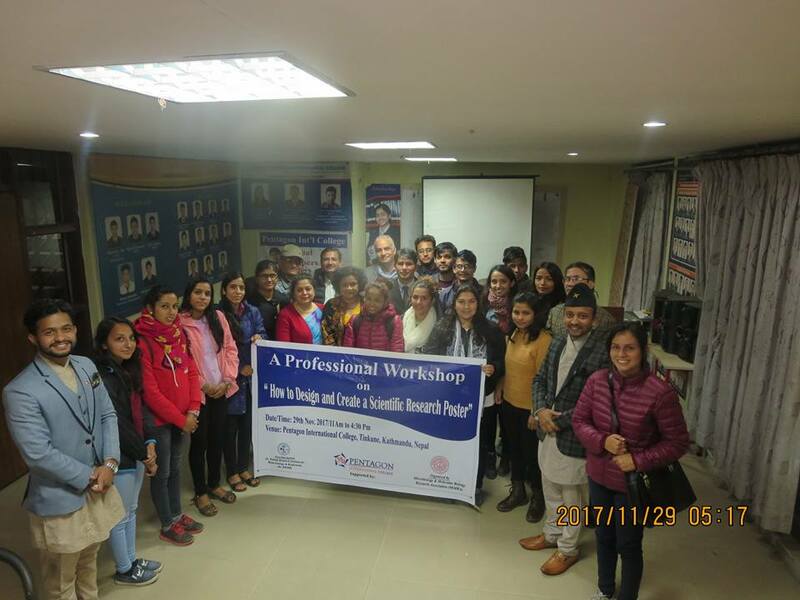 After the speech Dr.GunaNiddhi Sharma (Deputy health Administration section, Chief of Epidemiology and Disaster Management Section at Epidemiology and Disease Control division, Teku) was handed over the dash for his presentation and Discussion on the topic. According to him, Influenza, also known as flu mainly affect the upper respiratory tract and lower respiratory tract, widespread epidemics sometimes pandemics and affects people of all ages. Influenza is sometimes mistaken as ‘swine flu’. But as it rapidly spread from one person to another instead of from pigs to persons and is only the seasonal flu, such misconception should be cleared. The flu was first noticed in 1918 which was then known as “Spanish flu” which killed approximately 50 million and outbreaks at different time interval were seen. The case fatality rate of Influenza differs geographically and according to the status of the country. But the fact is that the fatality rate till now has not exceeded more than 1%. The first case in Nepal was reported on 29 June 2008 but the strain was different from the initial one. Among 31 affected 8 were verified death on the other hand, in Dolakha 5000 were reported to be affected but 3000 deaths. H1N1 Pdm09 occurs every year. According to Dr.Sharma 3 strains were identified at different outbreaks. BesideH1N1, H2N2 and H3N2are also responsible strains for the outbreaks in Nepal. The transmission of Influenza virus is primarily through contact with the respiratory droplets and from possible objects like handkerchief and clothes. Symptoms become distinct from 4-5 days of onset. The transmission of the flu is high during its incubation period. The group at risk for serious complications are the persons 65 years and above, a person with chronic diseases ( heart diseases, chronic respiratory diseases, renal diseases, HIV), children under 5 years especially less than 2 years, pregnant women, Alcoholics, and Smokers. The sign and symptoms of influenza are: Sudden onset high fever, headache, body ache, dry cough, sore throat, stuffy running nose are common and gastrointestinal symptoms like Nausea, Vomiting, Diarrhoea is prominently seen in children. The possible complications of Influenza – A influenza is pneumonia which progresses to respiratory failure, Acute respiratory distress syndrome (ARDS), multi-organ failure(Cardiac and Renal Dysfunction), gastrointestinal involvement and Encephalitis also have been reported. Spread true message among the people about influenza. The patient should be kept in isolation. The vaccination program should be conducted accordingly each year for the genetically modifying influenza-A virus for the risk-bearing group of people like pregnant women and immunocompromised people. The control measures should be implemented before the outbreaks and preventive measures should be carried out with the supervision from authorities department like EDCD, NPHL, RHD, WHO. Public message should be disseminated via media and medicine supply, sample collection and test should be effective as well as regular risk communication and co-ordination should be done. The challenges of such spread of Influenza-A virus should be considered and address during health policies including disease burden, high risk groups, vaccine cost effectiveness, vaccination policies, control and preventive measures implementation. After this informative presentation by Dr.Sharma, the queries of the participants were addressed by Panel Discussion. After completion of the panel discussion Dr.BuddhiRatnaKhadgi, the chief guest of the glorious interaction program spoke about the contextual discussion program hold and effort that can be made for more researchers about Influenza virus and expressed gratitude for organizers and co-ordinators of the program. 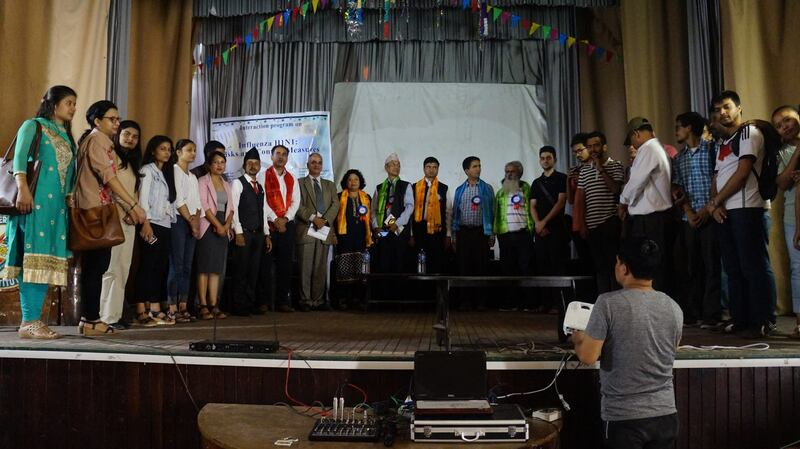 Similarly Prof .Dr.RameshwarAdhikari(Director of RECAST) distributed the token of love to all the guests and expressed his role and contribution to this program also highlighted on control measures and public awareness about influenza-A H1N1. Finally, the program was wrapped up with the vote of thanks by Mr.SujanKhanal (President of Microbiology and Molecular biology Research Association,MiMRA).